Go Tell It On The Mountain / Holy Night / Il est ne le divin enfant / Jingle Bells / Joy To The World / O Christmas Tree / O Come All Ye Faithfull / Silent Night / We Wish You A Merry Christmas / What Child Is This . Composed by Ted Barclay. Duration 27'00. Editions Marc Reift #13790. Published by Editions Marc Reift (MA.EMR-13790). October 22, 2016 Not Easy for a Beginning Violinist! 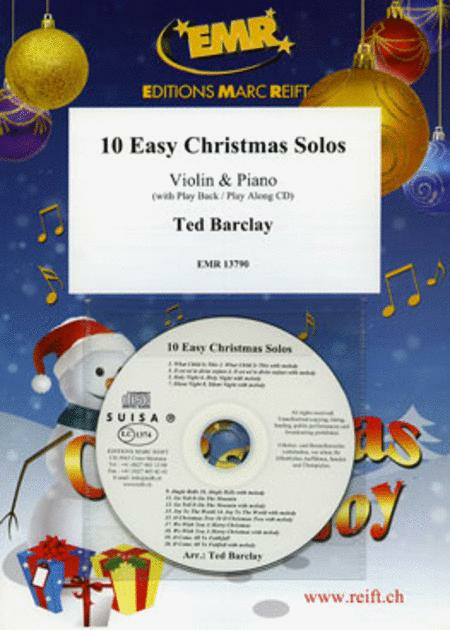 The arrangements look nice, but the product says "10 Easy Christmas Solos" however because all the songs are in flats these arrangements must have been transposed from an arrangement for woodwind or brass instruments. Beginning string players almost always start out in keys with sharps!